How would you rate your experience with Wegmans ? 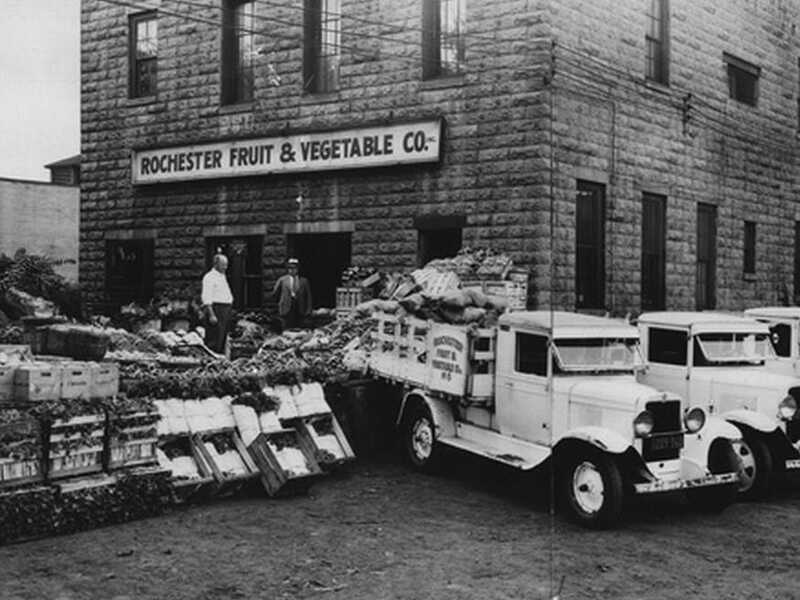 Wegmans began in 1916 as the Rochester Fruit and Vegetable Company. The company was founded by John and Walter Wegman. John began by using a pushcart to sell produce. then later he and his brother Walter pooled their savings to open a storefront. In 1931, the brothers incorporated the business as Wegman’s Food Market and opened a self-service grocery. In 1968, the company begins expanding. First in Syracuse, New York, later in Buffalo, New York. In 1972, the company opens its first pharmacy inside a store. In 1974, the company acquires Bilt-Rite Chase-Pitkin. In 1986, Wegmans Federal Credit Union opens for business. The company quit selling tobacco products in 2008 and even offered stop smoking programs to their employees. In 2009, Wegmans ranked 29th on the Supermarket News list of the Top 75 North American Food Retailers based on sales volume. In June of 2017, the company partnered with Instacart to provide delivery of their Personal Shopper program. Wegmans has appeared on Fortune’s annual “100 Best Companies to Work For” list since the list first appeared in 1998. The company has continually ranked among the top 10 for eight consecutive years. 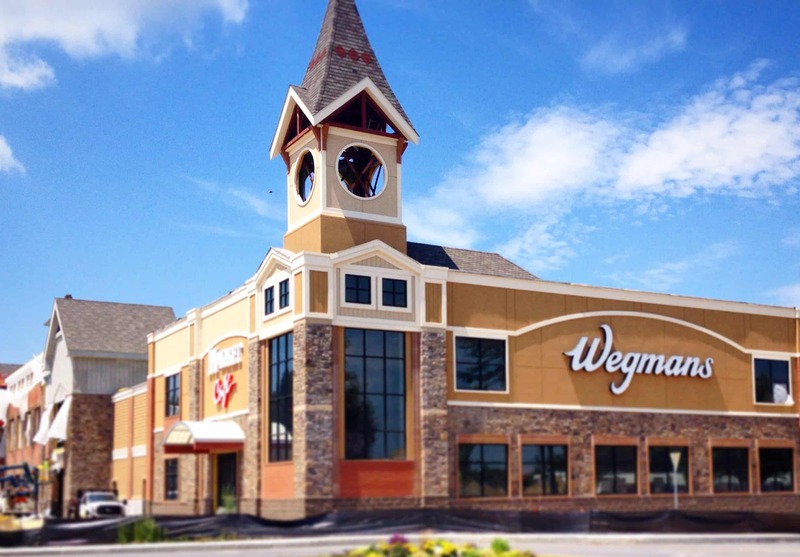 Today, Wegmans is still a family-owned regional supermarket with 95 stores in 6 states: New York, Pennsylvania, New Jersey, Maryland, Virginia, and Massachusetts. The company had annual revenue in 2016 of $8.3 billion. Question 1: What is the phone number for Wegmans? Answer 1: The phone number for Wegmans is (585) 328-2550. Question 2: Who is the CEO of Wegmans? Answer 2: The CEO of Wegmans is Colleen Wegman. Question 3: Who founded Wegmans? Answer 3: Wegmans was founded by John and Walter Wegman in 1916. To be sure — there are many good things about Wegmans. BUT Here are some of the down-sides. Discontinued Products: They are constantly “discontinuing” my favorite grocery products — even though the sales were so good that the store constantly ran out of stock on that item. Department Buyers: It’s like talking to a stone wall trying to get buyers to realize they discontinued an extremely popular item. They cite “slow sales” as a reason — without realizing that the slow sales was due to the fact the store is constantly running out of stock on that product. Obviously — sales will be hurt when the item is not on the shelf for customers to purchase. 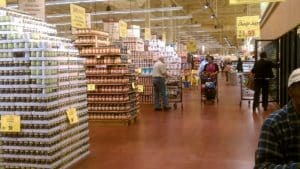 Dwindling Inventory: Wegmans became hugely popular because of its large selection of different competitive brands to choose from — larger than most grocery stores. BUT now they are heavily scaling back that variety and diversity and now it is not uncommon to find there is only one brand to choose from. Whenever this happens — the price is typically outrageously high. Wegmans made a sweetheart deal with the ‘selected’ brand to remove their competitors from the shelves. Poor Vegetarian Policies: Buyers keep discontinuing really good Vegetarian items — merely because sales rates lower than for mainstream equivalent meat products. They are clueless about the fact that the Vegitarian items’ sales rate is actually very high — when you look at it as a percentage of all vegetarian customers — which is smaller than the total customer base. After all — vegetarians have to eat and buy groceries like everyone else. Deli Prices Outrageous: Wegmans is mostly catering to the upscale very wealthy consumer — judging from its deli prices — which are way beyond the means of many customers — $10 per pound even for a very mediocre macaroni & cheese dish. I cannot say enough about the employees at the Wegmans store in Chestnut Hill MA. THEY ARE AMAZING!!! I was in the store with my sister on Saturday 8/4/18 and unfortunately my sister had a medical emergency (I won’t go into details for her privacy) but she passed out in front of the restrooms. I was in the store shopping with her son and my son when I was paged to the Customer Service desk and told about the incident. The employees working were so helpful, the woman from the front end helped entertain the kids while I was helping my sister recover. There was another gentleman who I believe was another manager (he was Asian) who stayed with us bringing her water, etc. The pharmacist was with my sister until I got to her, there were a few other employees who were so helpful. I really wish I knew their names so I could give them credit for being so kind and caring and understanding of the situation. All of them went above and beyond to help us out. I always enjoy taking a trip to Wegmans when I visit Newton, I love the store, the food selections and the prices, but now I LOVE THE STORE FOR THEIR EMPLOYEES AS WELL!!! Thank you so much Wegmans in Chestnut Hill!!!! I would like Danny Wegman know that the drugstore in Corning Ny., and that the pharmacist Nate, spent over 3 hours solving a most critical situation for my father in law who is on hospice care. There was a narcotic prescription that had gone to the wrong drugstore, and that drugstore did not even have this narcotic, solved the most dire situation. My dying father in law will sleep without pain tonight because they went above and beyond to help him. I will be eternally grateful for this compassionate service! The company has continued to fail in product and service since the loss of Bob Wegmans. The prices continue to be higher than competitors, however the food quality has become third rate and they have cut benefits to employees. Produce and prepaired sailds are some of the worst that I have ever seen. Wegmans cannot try to be all things to all people and should focus on the high product standards the company was built upon. I.E. As a sr. operations auditor and sr. manager for several fortune 500 companies, I have always felt obligated to be forthright with companies when they have lost direction and their focus of their core principals/customers. Before they failed, I spoke with sr. management of Rochester Telephone, Kodak, and Xerox regarding similar issues and poor choices. They didn’t listen nor understand their own company and history spoke poorly of management’s actions. Best wishes for Wegmans. I miss you Bob Wegmans and so do the customers and employees. I could not agree with Blanco anymore. As someone who has been in the supermarket business for over 50 years and a former Wegmans employee of 17 they truely have lost there way and vision of Robert Wegman. Roberts first focus was his employee. Ask any vet employee they all say the same thing it isn’t the same place to work and not in a good way. They are no different than a Walmart now the human family touch is gone. The quality of new employees has gone down hill once only hiring the best now having trouble getting people to even apply. The word is getting out slow but sure it’s not a great place to work. Wegmans change your ways before it is to late. Stay away from the Dickinson City Wegman’s. The new look is like a warehouse. Lighting is poor. Not bright. No Managers are around. I don’t know if they were all fired or what. The store is not full of shoppers. The parking lot tells the story of who is shopping there. Not a great shopping experience. Who decided to change the look should be fired. Poor Danny Wegman would be disappointed. It has been undergoing a new look for the past three years and this is what they decided on. There is nothing special about going to Wegman’s anymore. To me it was the Cartier of food stores. Go to the Price Chopper. I use to travel over 45 minutes to go there. It’s changed to be a depressing shopping experience. I have been a Loyal Wegman’s Customer for over 40 years in Buffalo, Binghamton, Scranton, Princeton New Jersey, Wilkes Barre and Allentown/Easton Pa. Several weeks ago I was Shocked to the point of nausea when I witnessed an activity preformed by Wegman’s employees under management supervision disposing of filled Garbage Bags from Large public Trash containers in the Front foyer and entrance area of your Scranton store on Rt.6 Dickson City Pa. They were using shopping carts which were provided by your store for parents to hold grocery’s and their children. These carts are over sized, colorfully decorated and had a capacity to seat 2 children playing with fake steering wheels as well as a large area for groceries which their families would be consuming in the near future. I shop at Your store at least 5 to 6 times per week and have recently noticed that these children’s carts were being Used by Parking lot cart retrievers to transport large bags of Trash which they removed from foyer and outside containers. I brought my concern to your store management who told me they would look at the situation But each supervisor that I spoke to either thought my concerns were funny or unfounded because the trash bags were tied and did not pose any problem in their opinion. One even told me that the trash containers did not need to be disinfected when these large trash bags were changed. I guess the bags your stores use Never leak or get torn or have any spills on them. When I asked to speak to the store manager I was Always told there was Not a store manage on duty. I am shocked there is not a store manager on duty between 5.00 pm. and 7.00 pm. when this trash is being transported in such a way. I am also surprised you do not have special bins or carts to transport larger Filled Garbage bags and must use the Children’s carts, the carts that are used to push a handicap person and their groceries and even at times regular large size shopping carts. The worse issue is when not being used for trash hauling these carts are put back in service for Children and Handicap Adults and the general public without being cleaned or disinfected! I have watched this time and again in horror. I Don’t want to put my Food or my Grandchildren in these carts that were used for Trash! I’m very upset and disappointed in Wegman’s and I hope this situation is resolved Immediately. I hope I never have to write such a letter ever again. Please bring a Wegman’s to Florida (Port Orange-Daytona-Lake Mary) I was home for Thanksgiving and OF course in Wegman’s everyday and bought Thanksgiving dinner for my brother and I have to tell you it was better than any 5 star restaurant. Plus I could use a part-time job to keep this retired nurse out of trouble!!! I am not looking for any response and do not want one in regards to your store on Rt31, Clay, NY. Your management need some training in regards to their customers. This has happened twice to my wifer. We are farmers and stop by during the day. My wife went to the store today for “Pepper Day” which was a bust, but that is not the point. She goes in her Farm Dress. Jeans, a T-Shirt, and some heavy type shoes. She is clean and also wears a baseball cap. She was in the cheese department today. A manager of sorts spoke loud enough for my wife to hear to a young employee, “Go over there and see what that woman is doing”. She was buying cheese and the young employee came over to the case and stood there while she was making a selection of goat cheese for us to have a cheese platter. We can only surmise that since we are not in our fancy clothes, we do not fit what the manager expected and assumed something negative. You can guess better than me. We like goat cheese and we will still go back. We can afford to shop there and it would appear that management has some type of training to look at a customer by dress and determine if they belong. The stereo type training of what their customer is or should be or profile. This is the second time this has happened. Maybe I should go next! Is this your image? My name is Vade Hanlon. I have been a loyal customer of Wegman’s of Ocean, New Jersey since you opened. I am writing you because of an incident that occurred a month ago. I had hoped that I may over come the displeasure I experienced and would once again return to shop, but I can’t! Now this to me was upsetting for many reasons that I hope you can tell from my description of the events above. I really don’t like to play a race card, but I wonder as I looked around the store, is it because he was white and I am Indian that he gave me such a hard time. After all, my husband (white) and I have been shopping with my in-laws and have not had to show our ID. I do realize that this happened in the liquor store not grocery store, however, I have been so distraught by this experience that I don’t want to step foot into Wegman’s. This was a difficult choice not to return because I do like your selection. If you look at my shopping history I average $300 a week on grocery and probably $300 a month on liquor. It’s not that I want you to do anything, but it is cathartic for me. I certainly hope does not happen to anyone else. And yes when people ask why I don’t shop at Wegman’s anymore I share my experience. I live in the Dulles Sterling Area, and I have been urgently looking for a job, to support my daughter and my self, and avoid being an statistic to government free help, like snap and free rent. I prefer to work and grow my savings, but since her dad became real sick I don’t have enough of financial stability to buy her clothes for back to school, or pay my bills on time. So I have been going to Wegmans in Sterling to eat healthy meals they serve there and I take my daughter with me so that she can have some of the food selections. Then there is a sign that says they are hiring and I apply the first week I saw the sign, so I thought since I have allot of experience with clients and I am very friendly no doubt they will not decline my offer to be part of there team. So I waited for a phone call, and still went back and the sign is still there, and I spoke to a manager and enquire about why they had not call me for an interview, and because I am deaf hard-of-hearing though I started thinking and feeling intimidated, the manager said she would refer me to Human Resources that they would know my situation so that they could email me for an interview, but still have not received anything. So third week I went back to get a meal again with my daughter again, and the sign still there, and I am thinking here is woman who needs a job and is saying that she is available to work there schedule and three weeks the sign is still on display indicating that they need to hire the following positions. So I am still waiting and hoping that they reconsider because If I have to beg in the street for money to balance my financial situation I could or will, which is something I don’t want to do, but itmagining that this is how the homeless people become helpless because they are treated as rejects and do not offer them jobs when they need them, so they become an image of how unfair our society can be with people looking for there freedom to grow and create happiness for themselves and their families, without giving up. So if you read my message please I am still in need of an opportunity within your Wegmans Store. Thank you. From what I have read lately about Trump wine, I think you are ALL missing the point. We live in a country of free enterprise. Any retailer should be able to carry and sell a variety of notebooks, greeting cards, health foods, wines, beer, meats, produce etc. and I do believe that Wegman’s does a darn good job at variety. Important, too, is the atmosphere that Wegman’s offers. I have come to enjoy my shopping experiences there because everyone and I mean everyone is friendly, helpful, not just pointing a finger to where a product is located but will take you to that product. The employees that I have had the pleasure to meet ALL knew the store and if they did not know what I was asking for they looked it up on their phone and took me to the location shown on the phone. In our disintegrating society of poor attitudes I find Wegman’s service topnotch! Thank you Wegman’s for your professionalism. It is very much needed today. We live in NY but travel every year to Rehoboth Beach DE… We love our Wegmans!!! It would be nice to have one one Delaware!! If you sell Trump wine I will never shop with you again. Good luck opening your store in Brooklyn! We’ll be ready to protest! If you boycott an amazing supermarket like wegmanns, you are the loser! Get over the last election already!! Live your life!! How? Just how can you consider that courage? Alex, listen to Diana. Wegmans has always been on the side of Peace and Prosperity. Why boycott that??? your dumb bro. GO TRUMP!!!! Oh, boo hoo! Stop your crying, already, and grow up! Cut off your nose to spite your face? Smart, REAL smart!! I have not seen anything that they are keeping Trumps wine. When you open up your Hanover NJ store this Republican town and county will not support your left liberal store. Oh boo ho!! Dont you a real concern for a REAL INJUSTICE??? Thank you for not removing Trump wines. I am impressed that you have the courage to stand up to this bullying. I just heard that you are under fire to remove the Trump brand wines from your stores in VA. I don’t believe that anyone should be able to tell you to remove a product from your store if it is selling well and the product is not hurting anyone. I was tempted today to go buy a bottle at my local store in protest! I think that you, as a company, need to consider the other side of the argument, which is, if you remove it and you have big fans of Trump wine shopping there it will cause them to go elsewhere to do their shopping. I used to sell products through chains like Wegman’s and the things that get people in the store to do their shopping can be as small as a brand of wine. Which reminds me… I need to go to my Wegman’s in Short Pump to get some more Ben & Jerrys Chubby Hubby because they are the only place that carries that flavor—and I’m buying it even though I totally disagree with the political opinions of that company. Good ice cream and wine “trump” all! You can believe anything you want but anybody tell any business what product to sell if they want what could be so hard about that to believe?????!!!!!! What I can believe is you think you really added something to the world by informing the rest of us. I bet you told people in a self-righteous huff how you responded to the nerve of somebody telling a job creator what they should do! Can you detect the sarcasm? I’ think you just Love yo hear yourself vomit your beliefs upon anybody who will listen, but most of all those who are held captive to you since you probably have a little bit of money and can order some people around and they have to suffer the indignity of listening to the mindless voicing the flow from your mouth!!!!! I too will stop shopping at Wegman’s if they stop selling Trump Wines. Keep poltics out of your stores. BTW. I have already ripped up my Nordstrom’s card. Don’t let my Wegmans card go into the shredder also. Why can you have your political view but they can’t as you see it?! You willfully ignorant people!!!!! I can tell you are a sanctimonious, I believe in my heart republican who has his little slice of the pie and I never asked for anything and I worked for everything I got white man? I live in Northern Virginia and wanted to make a comment regarding The Stop Trump Wine Group’s efforts to persuade Wegman’s to stop carrying Trump’s brand of wines. I believe retailers need to stay neutral regarding this matter. It is up to the individual to decide whether they want to buy the wine or shop at Wegman’s. You have just as many customers who will stop shopping at Wegman’s if you decide to stop carrying the wine. Wegman’s is a cut above all other grocery stores in our area. Keep up the great work!! And you really believe what you said? There all running back home to copy Wegmans really? Where does a thought like that come from? I was once a very loyal customer of Wegmans. LOVE YOUR STORE..LOVE YOUR PRODUCTS. Your store in Bethlehem is 1/4 mile from my home. This is to inform you that I will no longer be shopping at your store. You made a very poor business decision when you elected to discontinue the Trump Brand at your stores. Consider the fact that you had no problem with the political left or right before you pulled the Trump brand. Now you have a problem. You have decided to alienate a segment of your customers because of your political leanings. I am astounded at what a poor business choice that is. You will lose customers. And for what purpose? 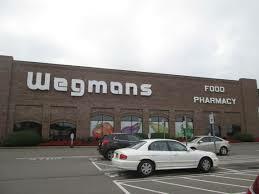 I will now be shopping at the Weis store that is very close to the Wegman’s in my area. Again, I would be much happier shopping at Wegman’s. However, I will not tolerate a business that feels the need to inflict its political leanings on me. Very, very poor business decision. You people are unbelievable, first off do you know the reason for why they decided not to sell Trump wine? Or are guessing? I sure don’t care what the reason is or is not!!! You sound like you care more about whales than people to me?!! Why don’t you go and round up donations for your local ASPCA or your local Tea Party chapter!!! I understand there is a move underway for consumers wanting u to remove Trump wines/ or any of Trump products. I totally disagree !! As a retailer you need to remain neutral and if u don’t I will also refuse to shop in your stores. This movement is insane ! Why do they? Because you say so? Well let’s think about that?! Ummmm. What sounds like insanity is your assumption THAT YOU have the answer to how EVERYONE should and should not act or even think!!!!! I think you along with many others is you confuse freedom of speech with because I can say it, what I have to say is quite valuable to the rest of mankind. Mind to your own business why don’t you!!!!! I know there is a new Wegman’s in Burlington Mass, which you glide over CT to get to. When will a Wegman’s be built in CT? I am from Rochester, NY and REALLY MISS IT! Afterall, Stop&Shop, Stew Leonard’s, Shop Rite, and Price Chopper have NOTHING, i mean NOTHING on Wegman’s. I LOVE WEGMAN’S! I even worked for Wegmans in Chili back in the day! I’m sorry to hear about your experience. I am also disappointed with the hiring process. I was offered a telephone interview for a position in the Hunt Valley store and then asked to come back for a “selection interview”. I found all of my interactions with the Wegman’s HR to be very cold and impersonal especially considering Wegman’s reputation for employee treatment. My interaction was so disturbing that I informed the HR rep to please remove me from consideration. The Wegman’s HR representative was even more impersonal. Consider yourself lucky that you have not been invited for an interview. I’ll go offer my skills to Mom’s or Trader Joe’s, I feel so sorry for all Wegman’s cattle err I mean employees, it really seems like all Wegman’s cares about is themselves and profits. First off they don’t have the time to respond to every inquiry of anyone they have thrown onto tha ash heap. I thought about doing that myself but finally realized it would be a waste of my time. Don’t know but I’m leaning that they are really looking for trainables to work there, just want people with little or no experience. Might want people they believe are malleable,to drink the company KOOL AID? When they are typing in those answers you don’t know what they’re doing? Just kidding LOL!!!! Although I would have preferred someone who at least reached the age where, his body could produce enough testosterone which enabled him to shave! LOL!! Honestly he would be proofed to by cigarettes in all 50 states. I am writing to you with great disappointment when it comes to the Wegmans store on James Street. My husband and I moved to the east wood area from Liverpool Suburbs 3 years ago and absolutely loved your John Glenn and Taft Rd stores. Unfortunately, we cannot say the same about James Street. There are numerous problems in that store and it will probably take me several hours to list them all out but the primary problem I am writing to you about is the Sub Shop, the produce are old and the fact that the shelves are never stocked. Primary issue is the fact that there is NEVER any white ciabatta bread. Whenever you ask, the answer is we do not have ciabatta bread today. The employees are always rude, certain repeated offenders never wear badges and act like you are a nuisance to them. My husband and I have called the corporate office, spoke to a new local manager and nothing has changed. DiBella’s is about to open, I guess we will have to take our business to them and spread the words to others. Cauliflower heads are black, asparagus is sitting in standing water and has fruit flies all over it. That should be an indication to change the water, cuXXXXbers are sold too soft – you can tell they went bad inside. Strawberries and other berries sold with mold on the bottom. •	Baby isle – always out of something. I came in 3 times in a week to see if the product was stocked and finally had to go to Walmart to grab the food and formula that I needed. •	Shampoos, cosmetics products, lotions/creams, etc. The staff is unpleasant and un-educated with the products and the store itself. I ask that James Street location receives Management review and looks at the customer satisfaction metric. The consumer sales may be up because residents in that area do not have a choice to go somewhere else but that doesn’t mean than we are happy with the services that are being provided by the store location. I have a complaint about the parking lot at the James Street store in East Syracuse. I have been a Wegmans shopper my whole adult life and I go to James Street most of the time. However I’m finding that the way the parking lot is structured and some of the customers are making a trip there dangerous. For some reason the STOP sign in front of the store never seems to be around when I go there after work (around 5 PM). The problem is drivers there disregard all other indicators to stop without that sign being there. Yesterday Monday 10/17/16 I nearly got hit by a driver and then almost got into a fight with him since I didnt appreciate him nearly hitting me with his car after blowing right through the STOP area. Wegmans is an excellent store in many ways but saving a few bucks isnt worth that risk to persons physical well being. It’s getting to be essentially a lawless area where you take your life into your hands arriving and leaving that store. I’ve been going there a long time so its not a one time bad experience. I also go to the Dewitt Wegmans which does 2-3 times the volume as James Street and they always have a STOP sign in front of the store there, the result being there is NEVER an issue with people having to dodge cars to get in the store. People running James Street please resolve this or you will be dealing with an ex-customer. Thank You. I usually shop only at Wegmans but after my last encounter with the Front End Manager at one of the stores…I will never turn in any cash I find! I turned in $60.00 that I found to the service desk and the employee filled in a Lost and Found Sheet form filling in all my information. He told me to return in a month or so. I returned to the desk a couple times within the month and was told no one had claimed it yet and I should return. Unfortunately, yesterday when I asked about the money, I was told by the Front End Manager that I was not entitled to it and that it was going to the “employee fund”! Big problem. Do you think I would’ve turned in the cash if I was told at the time the paper work was filled out that if it’s not claimed it will go to the employee fund? I don’t think so. Maybe a charity…but the EMPLOYEE FUND? Why keep telling me to keep checking? I’ll be happy to supply Danny Wegmans with the store location, the manager I talked to and a copy of the Lost and Found Log Sheet. Maybe honesty should be treated with respect by communicating what will happen to the money if not claimed or give the finder a choice of a Wegmans gift card or donation to a charity or employee fund? I am originally from Syracuse NY and when I moved to NJ the grocery stores were horrible. Now that Wegmans is here it is a blessing. Recently I bought cases of Wegmans water and for some unknown reason it taste funny. I asked around and I am getting the same response. I always recommend Wegmans brand products because they are good quality. But, Wegmans…….. what is wrong with the water you are bottling. Where does it come from and what recent changes did you make? Please let me know. I will no longer buy the water until I know it doesn’t have that funny taste to it. I read all of the above including the good and the bad. However, having been a Wegmans fan for many years right here in Rochester where you are HQ’d I have to be honest and say you are without doubt losing your way on several counts. As an ex UK resident and a one time grocery store manager you have fallen into the “own brand” egomania syndrome which will without doubt will cause your complete group to fall on a downward spiral!! Many before your tried — they all failed! Consumers do NOT want row upon row of shelves with only one brand dominating what is on offer—BIG mistake Mr. Wegman and someone needs to be fired for taking you there just as the “someone” who decided to educate us on how and what we should eat! Your dried up, poor selection fast food takeaway is a disgrace in comparison to what is was. Be careful Sir—-Tops and Aldi are watching these mistakes! Guaranteed! I completely agree and know of numerous others that feel the same way. Come on Wegmans, you had a great thing going. Don’t mess around with a good thing. No company is too big to fail! Go back to what you do best- offering what people want for a good price. That includes brands people are happy with and trust. Hello, about a month ago I came into this store to purchase about $100 worth of groceries with a check (I had lost my debit card and this was all I had at the time. I was told earlier that day that all was fine and I could write a check. I left half ‘y shopping g to later that evening when I had more time and when I checked out I was not allowed to pay for my groceries with check. Anyway, I left very upset and frustrated and of course without formula for my baby…I was contacted by a manager named Ryan, I think was his name, sorry, and he was very nice and apologetic. He asked me to stop by the store so we could meet and that he would have something for me. That day I wasn’t able to leave work on time so I called the store to let him know and left a message with a Kenny. I never heard back from Ryan. I went to the store later that week and left a message at the customer service desk. Again, I never heard from him. I’ve visited this store dozens of times and have asked for him two more times. The last time, about a week ago or so, I spoke with someone who finally said he was there but in a meeting. He wrote my phone number down and I told him I would shop and that Ryan would call me after his meeting. I was at the store for 2.5 hrs and never got a call. In fact, he never followed up with me and now it’s been 6 weeks or so. Not only does everything seem insincere and fake now, but now I’m hurt and offended. I feel like a fool. I was never offered anything and question why I had to meet him at all. How inconvenient. Here I thought that he wanted to apologize in person and now I think he may just wanted to match my face to a camera shot or something. Like maybe I was lying so I had to go in person to meet. Do you see how much time I wasted I looking for this Ryan? All my messages went unanswered. I am extremely disturbed and disappointed. Wegman’s management is not caring and only show face, there is nothing special about this store and I want everyone to know how I was treated over the past 2 months. Clearly I am not a valued client and I want all the money I have spent loyally at this store returned to me. My husband and I frequent the Woodmoor store in MD, rather frequently. We find the store and its staff to be outstanding in customer service. The food is fresh and flavorful. I am most grateful that when my husband had a seizure in the store, yesterday, the staff had everything under control in a matter of seconds. 911 was called. Staff members satyed with me and my husband until the EMTs got there. They kept me calm and even blocked off the isle so we had privacy. They helped me get the motorized wheelchair into my van and made sure I was calm enough to drive. I personally love our Wegmans and am now even more inamored because of the great care they gave to my husband and me. Thank you Wegmans. fire him under the false notion that he has broken work policy. I have a product which I manufacture here in Japan, it turns hot cooking oil into a hard disposable wax like substance that is thrown straight into the trash bin as is. No use of plastice jars or glass containers, no mess either. I look forward to contanting the responsible party for handling business with Vendors, thank you. I wanted to take this time to send you some information about an employee that just took care of me at the Fairmount Wegmans location. I had 2 bundles of flowers and wanted to see if I could have them mixed together and then separated back into 2 bundles. I had asked the woman working and she was gladly able to do this for me. She was so very pleasant and was willing to answer some questions I had. She even suggested a small bucket to have for my flowers. Having some small talk with her, she mentioned that she had been working there for 3 years and when she started there that Wegmans showed her how to work with all of the different flowers. I know that her first name is Madison but unfortunately I didn’t get her last name. Please know that she is a very pleasant, knowledgeable and friendly Wegmans worker. THis made me realize that this is why my family shops at Wegmans… not just for the great products but also because of wonderful customer service. From a dedicated Wegmans shopper! a B2B opportunity with your company. I was passed onto a gal named Natalie. our products in front of your buyers . to help without me feeling she was waiting to get rid of me. THAT’S WHAT’S FOUND TODAY AT MANY COMPANY’S. Compliments on your staff educational practices a and hope she gets acknowledged-or recognized by her supervisor. Hope your post helps you get in the door. Wouldn’t hold my breath though!! At a time of great sorrow for my sister, of Ontario NY, whose husband died from surgery complications, your Wegman’s Associates at your 900 Holt Road Webster New York store, extended their overwhelming compassion and service to me in Temecula CA.. When I called on Fri. evening 7/22/16, Jordan Alhart not only assisted me with a selection of flowers and arranging for a gift card , but also arranged for delivery of my gifts to my sister. Teamed with Shawny Christmas, the following morning Shawny continued and with Garrett Johnstone, untangled a credit card glitch and arranged for my gifts to be delivered at my requested time, so my sister would be home to receive them. It was far and away, one of the kindest gestures anyone could receive at such a very, very sad time. I feel that their service is also a reflection of you and your Company’s philosophy. Words cannot express my gratitude to Jordan, Shawny and Garrett. Truly, little things that make a difference are ENORMOUS to a Customer like me, in Southern CA. I wish you continued success with your world renown Wegman Stores. Whenever we are in the area, visiting, Wegman’s is our first shopping experience, and it is ALWAYS such a positive experience. Please consider and research Temecula CA. 92592 as your first West Coast store opening location .We are located approx. 55 miles north and a bit east of San Diego CA. My Sincerest Thank You goes out to you, Mr. Wegman and your outstanding Associates, Jordan Alhart, Shawny Christmas and Garrett Johnstone. I love shopping at the new Wegman’s in Akexandria, VA. I was so pleased and excited to see you carry Hydrox cookies, but on my last trip there, the shelf was bare and there were no Hydrox cookies. I asked one of your friendly, helpful store workers why no Hydrox and she told me unfortunately Wegman’s no longer carries them, they’ve been discontinued. She also told me I was the second person to ask her about Hydrox. She told me to inform corporate if I want them back. So please bring them back. I have to drive about 10 miles to get to your store but it’s worth it because you have Cento sardines and you used to have Hydrox. I would like to draw your attention to a major urban area in Philadelphia that lacks a viable grocery store. I think it is a valuable investment of your time to consider expanding in this area. University City is on the cusp of major economic growth and redevelopment, with affordable options and locations to create such a valuable community resource. This all complements the long-range plans of the Schuylkill Yards development, the 30th Street Station District Plan. Private, state, and federal money is starting to be poured into this area. However, there is no viable grocery store for residents in this area. These residents are employees of hospitals and universities, but the grocery store options are limited to poor quality options. Currently, there is a rundown grocery store on Walnut Street between 43rd and 44th Street. This business, and it’s parking, utilizes an entire block. I imagine this business could be purchased and redeveloped to cater to the incoming residents of this area. Please consider this. Many residents in this area would jump at the chance to grocery shop in this neighborhood instead of travelling outside the area. In addition, the alcohol laws in Philadelphia are starting to change which creates opportunities for major food retailers. You must work for the city, or have political aspirations??? For years I would throw away the leftover salad after 3 days. Here is a fabulous recipe for what is left. Mr. Wegman-Danny: I don’t know if you remember my family, but the Mueller bakery was a staple in Rochester from the early 1900’s to around 1966 when the Hudson Ave. bakery closed down. Donuts, fry cakes, breads, and the cakes that my grandfather decorated……. In its place they put a parking lot for Rochester Savings bank. I remember going to the Mueller bakery on Saturdays, and watching them turning over fry cakes with two sticks in the vat of cooking oil. And I remember making jelly donuts-two at a time. That was when jelly donuts actually had jelly in them. The real reason I’m sending you this email is because I wanted to let you know that I have always said that the Wegmans fry cakes are the closest you can get to the Mueller’s donuts that I have ever had. And my wife had a filled donut this weekend, and there was actually filling in the donut. YEAH!!! In my heart, I thank you for keeping up the Mueller’s Bakery tradition of exceptional food. I think of my childhood at my grandfather’s bakery every time I have a Wegmans donut. And thank you for coming to Richmond. You know I remember that bakery back when I was 10 in 1905 the strawberry cupcakes with sprinkles were yummy!! I recommend that you have your staff do a little research into how your competitor does it. Perhaps even have one of the staff purchase a package and validate my claims. Worst case is that you find out that theirs is, indeed, better than Wegmans and at best, you have a palatable lunch. I live in Philadelphia PA and we currently don’t have a Wegmans in Philadelphia. I usually travel to Cherryhill NJ. There is a building/space in Philadelphia near the Delaware river that I think would be ideal for another location. (Was a SuperFresh) It would be with HD and other like stores. The address is 1851 S. Columbus Blvd Phila. PA 19148. Just an idea for an amazing up and coming area in Philadelphia. Plus we currently don’t have any super markets in that area besides Shoprite which is moving to a bigger location and then we won’t have any super markets. The current neighborhood is called Pennsport which is grossly populated with young families with a need for good healthy food at a convience. (Whole foods is getting way out of hand with prices). To all you people who are telling them locations where to put a Wegmans are you guys looking for a finders fee or something???? While driving through the beautiful state of of Pennsylvania, we were tailgate very aggressively by a Wegman’s truck. Then several minutes later we witnessed the truck, which was more in front of us, changing lanes without signaling. The truck almost hit another automobile that was behind it. I am not sure I would want to support a grocery institution that relies on unsafe shipping practices. I understand wanting to transport goods in an efficient manner, but not at the cost of endangering people who share the road with your trucks. Enclosed you will find the truck and route information of the vehicle in question. I hope that you take this concern seriously and contact the driver. I’m not sure why they felt the need to drive so recklessly, but whatever the reason it needs to be addressed as so not to happen in the future. Licence plate 1950c8, truck number 4045 tt193, cab number gvw80000. This occurred at 9:11pm on April 22, 2016 on Pennsylvania i78 east near mile 53. Perhaps he was so close because you were driving 20 mph slower than the speed limit so you could admire the beautiful state of Pennsylvania? I have to wonder if your interpretation of YOUR FACTS are what really transpired? Why didn’t you just call the state police? P.S. can I get the license plate of that blue Corrola that stoped in front of your house on February 18th 1992? I wrote to CustomerCare at Wegmans and have not received a reply. The day before Easter this year I sent my son, who is 22 and lives at home with my husband and me, to Wegmans to buy a few items for Easter. My husband signed a check and I gave him my WEGMANS card. The cashier asked for his license, which he handed her. His address and last name are the same as ours. No one from Wegmans bothered to call me or my husband but they said he couldn’t buy the groceries because the name on the card (my name) didn’t match the name on the check (my husbands name). Our last names and address are the same. I have shopped at Wegmans loyally for thirty years and have always used my card and my husbands checkbook. So I thought there must be a misunderstanding and called to speak to the Manager. Jeff from the Geneseo store said he was the manager. Now here is my main complaint – Jeff was rude to the point of being hostile when I asked why my son couldn’t purchase those fee items (there was no alcohol etc) and he said ‘it’s our policy,’ I told him I’ve used my card and my husbands checks there for decades without an issue. I said no one even called to check with my husband or me. He said sarcastically that I should get checks in my own name. I have always loved Wegmans and a big part is because of the wonderful people who work there. This qas my first bad experience but it’s escalating because my letter to CustomerCare has been ignored, I don’t want to shop there and be told at check out that they won’t accept the check with my card as they always have in the past. Even the nice woman at the desk had told me my son could use my card to shop when I stopped there previously to update my phone number. I think Jeff the Manager at Geneseo Wegmans shouldn’t work there. He was unnecessarily rude and a poor representative of that company. just 1 mile from my home. Good afternoon, I just would like some real understanding. I applied for a position w/the company went through the processes and waKelvinered a position. I received an email that the offer was rescinded. I was in total shock. I had resigned from a competitor to join a great company but was denied employment. I tried reaching out to Mr. Bryon Willis from email he never responded back to me. HR in Richmond Va could not give me any information over the phone. I received a letter on my background a misdemeanor from 1992 apparently showed up. I wasn’t aware of anything being my record. I was completely honest on my application and never had a problem passing a background check. I’m a veteran (USMC), 30 retail experience and journeyman meat cutter. I never lied on my application, I honestly didn’t know that a misdemeanor was on my record. Mrs. Colleen Wegman and team I’m not asking for a job just asking does the punishment fit the crime I was unaware of. I’m a US Marine I took an oath in one of them was honesty integrity that I live by daily. I thought we were in the people business no one’s perfect. if I’m guilty of anything it’s been Honest. I was never given a chance to to talk with anyone else about this issue. Maybe this will not fall on deaf ears. Please consider building a Wegmans in Dutchess County ( Wappingers Falls or Fishkill, NY). I have been shopping in Wegmans in Johnson City since 2006 because I had a daughter who attended and one currently attending the university. Wegman surpasses any supermarket that I have ever shopped in. I am confident that Wegmans would thrive here. I just want to say how excited I am to the possibility of a Wegmans store in Cary, NC, I have dreamed of this for 19 years since leaving Rochester. I shopped your stores from 1976 until 1997. I still use the “original” shopping bags when I go the the stores here. I use the “shoppers club” card whenever visiting NY, NJ, Pa and Va stores. Thank you, thank you, thank you. I’m a member of a group in Marple fighting to protect a 213 acre forest which has been owned tax free by the Archdiocese of Philadelphia for more than a century. This is one of the last forests in eastern Delaware County and it provides essential health benefits to residents in that part of the county. Given Delco’s extremely poor air quality ranking by the American Lung Association (3,126th place out of 3,143 counties nationwide), residents cannot afford to lose such a critically important piece of open space. What’s more, this land is crisscrossed by many miles of trails which have been used by the public for several decades. We don’t know what Wegmans has officially decided to do regarding its announced intention to come to Marple, but I want to make it clear to company leadership that our opposition movement is only just getting started. We are nigh on 1,000 facebook followers and regularly turn out hundreds of residents to meetings. We have many plans in the works and we will continue to grow as we pick up support from hundreds of new residents and neighbors each month. Our health is just too important to not fight this egregious development. Given the size of the growing opposition to these plans, we wonder why it is that Wegmans continues to let people believe they are coming to Marple. After all, this could very well turn out to be a public relations disaster for your company, especially considering the ugly reason why the Archdiocese is selling this land. I don’t know how any reputable company could associate itself with that. We want the chance to purchase and save this forest from development. This is about our health, something that Wegmans professes to care a lot about. Wegmans could demonstrate to all concerned that they are the good corporate citizens they claim to be by announcing that they are no longer interested in coming to Marple. I wouldn’t post anything else on this pg tgey remove real complaints instead of handling them!!!! THAT’S OK ILL REPORT MY INCIDENT TO THE MEDIA ,!! I really dislike the new bags that the rotisserie chickens are coming in now. The chicken is sitting in a bunch of grease and the whole bottom of the chicken is soggy . I use to love getting these chickens not anymore! Had a terrible experience about two in a half weeks ago. My wife reported that she had something in her food which was a hard substance that appeared to be glass after looking at it. We reported it to the manager and supposedly it was sent up to corporate and we never received a call back. Finally just recently someone called my wife and offered a gift card but it was only after I called and complained hopefully service gets better they still haven’t told us exactly what was in my wife’s food I even contacted my lawyer to look into it I’m very dissatisfied with their response to this matter. I apply for this place for 5 years now. I got one phone call interview and I wasn’t qualified for this job. I have many years experience in cashier. Every time you look for people for cashier, I apply. I always get email that I don’t qualify. I’m starting to think that you just want to hire young people or unless it racist. . Not happy, there people that need job and a good worker. Sorry but it should be obvious to you that you have lost the war here.hopefully there is some place else you can find employment at. I feel for you sorry! I would love to see a Wegmans outside Pittsburgh PA. Center township or Cranberry would be nice, closest one is Erie 2 hours away….! I fell in love with your store in 1999 a summer I spent in Oswego NY.. I moved to outside Philadelphia, you opened a store in Coatsville which again was too far to use as a regular store!!! Please open one close to this zip code 15061.. This community is growing strong!!! SuperFresh and Pathmark are closing their stores in New Castle Delaware 19720 on November 20, 2015. The closures will leave people living on New Castle Avenue without a supermarket within walking distance. The nearest supermarkets will be a Save-A-Lot Market on Basin Rd or Rt.141 about five miles or FoodLion on S. DuPont Hwy. or Rt. 13 approximately seven miles away. Would you please consider opening a store in this area? Thank you for taking my request under advisement. I live in Newburyport, Ma and think a wegmans would be a great addition to the area. There are no stores like wegmans in the area, which makes the need even more of necessity. Please consider!!!! I have shopped at Wegmans back in the day of my college years in Buffalo (1981-1985). Loved the store then. I now shop with my son at the Ithaca one, love that one too! I live on Long Island, New York and my ton desperately needs a Wegmans. We have a Walbaums but A & P is now Chapter 11 and there is no talk of a takeover of our store. Rumors have it it will remain empty. That leaves my town without a supermarket. I know you are currently in the process of building one in Brookyln. Is there any way you could come to my town? No one here is happy with what we have. People in my town are desperate for a really good market. I have to drive 15-20 minutes to get to either Whole Foods, Fairway or North Shore Farms and that is without traffic. PLEASE come to my town. Thank yo for your time. I am in hopes that Wegmans actually reads and responds to folks here. I will write an update on whether or not corporate responds to customer concerns. I live in the Princeton, NJ area and have been shopping at the Princeton Wegmans store for many years as a satisfied customer. However, I am noticing more and more over the past two years or so that quality at the store seems to be getting worse with time. – Spoiled or contaminated olives from the olive bar. This has happened on several occaisions. – Stale cookies from the bakery. In addition to the returns I have had to make, I have also noticed more low quality employees who are rude – one memorable example is when I was in the produce section and a stock person came with a cart to restock…he rudely jumped in front of me to stock and refused to let me get my items! He became confrontational with me so I immediately went to get a manager. Speaking of produce, Wegman’s produce continues to spiral downward in terms of freshness. Some frozen items that I buy regularly are rarely in stock the last few months. The international section was changed, which seems to have eliminated several items in favor of introducing LOW QUALITY Indian products. Many of these products are made in India by a manufacturer who doesn’t have great history or reviews. Its as if this manufacturer was selected based on something entirely other than customer demand…it should be looked into. After my experience yesterday when ordering a smoothie from the coffee/smoothie bar where the employee clearly did not want to make the beverage, I will begin shopping elsewhere. I am interested in seeing whether Wegmans values customer input and responds to me. How do you define a LOW QUALITY worker? Is it the same as low quality Frozen Indian food? Elaborate please! The quality of employees at the Wegmans store in Malvern, PA, has really deteriorated in recent years. Many of them are hard working, but far too many of them are lazy and just stand around talking to each other all the time. When you ask any of them for help, they’re downright rude and treat you dismissively. The store is not as clean as it once was, either. Paper supplies in the ready-to-eat section are often missing. The meat department more often than not has run out of paper towels for customers who get meat juice all over their hands when touching the packages, yet there’s no way to clean them off because the towel dispensers are empty. Wegmans needs to focus more attention on maintaining the quality of existing stores and some internal personnel audits and less on opening more and more stores. Why not better serve the stores you already have as opposed to opening more, where the customer experience will quickly deteriorate because of misplaced corporate priorities? I am a retired medical technologist living in the Fredericksburg Va area. Recently I applied for a part time position at Wegmans. I have 35+ years of experience in my profession which includes dealing with the public in a professional manner. My second interview was conducted by a young woman named Jennifer. I was treated with a lack of respect and rudeness. My ‘crime’ was not including two short lived part time jobs on my resume. It honestly never occurred to me to include these. I mentioned these to Jennifer as I am a honest person and did not want to appear otherwise. I’m sure that her life experiences are limited but I hope when she is older that she will remember me. I am used to dealing with customer service representatives who are trained and courteous. I have shopped at Wegmans many times and have not seen one senior employee or person of color working there. That is sad as this is a diverse community. Fredericksburg Wegmans has lost not only my business but my respect as well. Had the same experience!! Have had 27 years experience in high end customer service, dealing with people who are worth tens of millions, some 100,s of millions. If you don’t think some of them were demanding you haven’t encountered anything. Nothing wrong with what’s accorded someone but trust me many of these peoples demands were unreasonable. Well Wegmans thought this wasn’t enough customer service experience along with my 7 years experience in the supermarket business. Guess only thing I lacked was youth also. Never been in a Wegmans but my guess is I will not find a ratio of employees over the age of 55 in relation to how many have applied. I know of 2 others who applied and were not hired. My name is Edward Butcher, Jr. and I am a meat customer service employee in your Burlington, MA store # 59. I am a hard working young man and very professional at that. During my retail career I have been a manager for big company’s for years. I came to Wegman’s hearing great things about how they treat their employee’s. My fellow employees are awesome, but management is unprofessional. They preach empowerment of the employees, yet when you express an idea you are immediately shut down even if you can eliminate company losses. Why? because they did not think of the resolution. I have been told I dress unprofessional and appear as a criminal because I wear a wegmans baseball cap and a wegmans winter cap on top because I work in a meat cooler at 33 degrees for hours on end. I asked for a certain schedule when I went to part-time instead of full-time due to unprofessional managers. Now they cut my pay from $14 to $10.75 ??? How am I payed less now that I can perform any function in my department??? I earned 24 vacation hours at the full time rate and when I went part-time they payed me the vacation hours that i earned full time at $10.75?? They are ignorant and have no professionalism or management experience with how to treat their associates. I feel they are pushing me out of the store. I asked for 4 days for a total of 24 hours and now they are pushing me down to 2 days with 16 hours. I am one of the main meat cutters in my department and they also leaned on me to work the meat loads when they were at their largest during holiday seasons!!! After all the hard work i produced during my 7 months working??? The manager’s talk bad about their employees infront of everyone??? They gave me a written warning recently after I was late do to them not working with my schedule do to daycare issues, and the very next day my team leaders were 30 and 45 minutes late themselves???? Mr. Wegman I have been told by many customers that they wrote care cards for me do to my exceptional customer service but was told by an employee my manager was throwing them out? Mr. Wegman I hope you realize that your Burlington store is not being run with the professionalism and family values that you all preach. I hope I am treated better in the near future as I feel I am being degraded and sterotyped by claiming I look like a crimial.. I have never been arrested in my life so to be treated like a criminal when I am working hard for your company is very concerning. If it continues I will be seeking optional advice soon. If you need to contact me you can reach me at 339-227-**** or elb***@aol.com. Thank you and have a wonderful night!! I hope they contacted you! I am still extremely upset with Wegmans’ management and the way they handled the whole situation with my mother. My mother was publically humiliated and put to jail and the whole thing was completely unnecessary. Is this how we treat people? It is sad and extremely heartbroken. My mother is still recovering from the shock and I am extremely angered. She had spent so much money there and now, after all this, she has to go to court and pay some fine?????!!!! •	We care about the well-being and success of every person. •	High standards are a way of life. We pursue excellence in everything we do. •	We make a difference in every community we serve. •	We respect and listen to our people. •	We empower our people to make decisions that improve their work and benefit our customers and our company. Wegmans in Collegeville, PA has the worst management! My mother was detained to shop lifting there a few days ago. My mom is not a thief, she was just looking at the plants outside and then started walking towards the car totally forgetting she didn’t pay for items she had in her cart. She started crossing the street to get to the car when she was approached by Wegmans security. By that time she realized what she had done and wanted to go back to the store to pay for the shopping, but they took her to the little room and called the cops right away. Mind you, my mother is from Europe, she doesn’t speak English and had no clue what was going on. Her ID was in the car but since she didn’t have it on her, they arrested her and put hand cuffs on her hurting her shoulders. My mom is an elderly lady who is by far not a criminal. What Wegmans Management did to her was criminal ! She was in such a shock and had no idea they were taking to local jail. Now, imagine my shock when the police called me they arrested my mother for shop lifting!!!! It was a Mother’s Day weekend too so it totally ruined our plans. My mother spent 5 hours at the jail. Shouldn’t the management first contact the family? I mean, what if my mother had dementia and they arrested her? Granted, she has made a mistake, but to call cops on a poor elderly lady and have her arrested???? That I call a crime!!!! Wegmans at Collegeville was our go to store, we spent so much money at that store. No more. I will not go back there. Poor management!!!! They should be ashamed of themselves!!! Way to go to spoil somebody’s Mother’s Day Wegmans in Collegeville!!! Shame on you! I wish there was a Wegmans in Indiana.There is two empty Kmart buildings in Indianapolis.The reason they went out was poor customer service and high prices.The Kmart building on east Washington street would be a great location for Wegmans because its close to shadeland avenue which turns into a interstate.There is heavy traffic volume in the area and has rich people pass through all the time.If Wegmans were to locate here they would have to compete with aldis for customers which I don’t think would be a problem when Wegmans is the greatest grocery store in the world.Once people see Wegmans I doubt they would shop very much with aldis.The other empty Kmart store is located on Indianapolis southside on south Madison avenue.There is another empty building in Greenwood Indiana on us 31 south.It use to be Marsh and is big enough to build a Wegmans.Mayor Ballard could tell you more if you sent people to research those sites.Carmel Indiana is a rich city with people with high incomes .Some of these people have 100,000 dollars or more in bank.Some are millionaires and are lawyers.Carmel Indiana was listed as one of the fastest growing city’s in america.This city sits next to Indianapolis on the northside of town.US 31 north is close by which recently was upgraded to interstate status.Castleton Indiana has a strip compatible to Vegas except its just a strip full of shopping centers and two shopping malls its huge.It even has interstate 465 and I69.Wegmans employees would love to have a store in Zionsville Indiana because its a neat village full of shops.Its one of Indiana’s best kept secrets.Avon Indiana is located west of Indianapolis and is on highway 36 a very busy highway with high income people living there.It has a lot of retail very heavy.Plainfield Indiana is located on Indus southwest side close Interstate 70 and sits on National Road.Plainfield Indiana has been rated as the 6th biggest distribution city in nation with connection to Indianapolis International Airport.Indianapolis Intl Airport has the second biggest fed ex shipment center in nation.Mayor Greg Ballards Phone number is 317-327-****or fax317 327-****. all my now grown went to colleges where a Wegmans was located and introduced us to your market. We immediately loved the store, and have used them when ever we are visiting our children but we live on Long Island where you are not located. The nearest stor is located in New Jersey about 100 miles. Please open one of your great markets on Long Island,as we have many markets none can compete with yours. When I travel to our daughter in Syracuse We have a cooler that plugs into our car so we can stock up on your excellent products. Please come To Us. Thanks Howard and Elaine Fine of Ronkonkoma NY. Which one of the 3 Stooges are you related to? At 3:37 PM on Saturday, April 4. 2015 I attempted to pay for my purchases in the amount of $137.82 at a check out in your Wegmans Long Pond-Latta store, but my card was declined after three attempts. Needless to say I was disturbed, knowing I had ample funds in my checking account, but was informed that I would have to leave my purchases until I could produce the funds. At that time I was approached by a customer standing behind me also waiting to check out, who saw my VFW jacket and offered to pay for all my purchases, apparently believing that I had no money. Needless to say this was embarrassing, and resulted in many shaking heads who were watching the situation unfold. Obviously I declined the offer with many thanks for her extremely kind gesture. Within a few minutes while waiting and pondering my situation with a basket full of merchandise, wondering what to do next, I observed this generous young lady attempt to pay for her groceries, as she was also declined. Apparently within a few more minutes the store personnel realized there was something wrong, came over the speaker system announcing a problem with the computer system. After about 15 total minutes myself and the young lady were escorted to another register, and were able to complete our transactions sucessfuly. I do not know who the kind lady customer was, but if I did I would buy her (and her husband if she had one) dinner at their favorite restaurant. Very rude mAnager Grace orchard park rd store west Seneca ny. Will not go in that store. I ate organic snack bar items yesterday that are NOT organic. I’m paying for it today. Wegmans poisoned me and I can’t get through to them. I guess they don’t want to know. If you have any problems with a product from wegmans DO NOT bother calling about it. I called weeks ago about a product and I was told”we’ll get back to you!” very short with me bascally hung up on me. THought that was weird but thought oh well. so in the meantime had another issue with another organic product and said I’d call and also see about the previous product from weeks ago. well pretty much the same runaround. tood the barcode from me and said they’d get back to me!?! so I questioned the 1st product the woman was short rude and acted like I was bothering her. so called corporate and they sent me right back to the rude woman I had talked to. she proceeded to tell me that I’d had just called 15 min ago……..I have never experienced such horrible customer service. this woman was nothing but a bulldog standing her ground. not once was there an apology or any understaning. FIrst thing in customer service is to listen to the customer’s complaint, apologize profusely and fix the problem!!!!! she knows nothing about customer service and should move on to something else. And wegmans should not be quarintee products if you won’t truly stand by them! While shopping at Wegmans a few weeks back on Friday my wife and I witnessed something we’ve never seen at any store. We were in the check out and saw many people gathering at the entrance inside the store. Everyone was wearing business attire. This seemed odd to see so many people dressed so nice. I inquired with our checkout clerk and we were told that it was the Wegmans family. She was very happy and even excited to see them. She spoke in such high regard of the family and her job as a cashier. You could tell by her expressions that she was genuinely proud to be employed by Wegmans. During our checkout process she said to “look for the guy with the colorful pants” his name is _____ Wegman (I can’t remember his name). Sure enough an older gentleman came walking up to the service desk wearing a pair of pants that has hundreds of turkey images all over his pants. We all got a laugh and even a hello from the guy wearing the “Turkey pants”. As my wife and I left the store we began to talk about what we just saw. We both agreed that this was a great things for a Family owned business to stop in and check out one of their many grocery stores. In this day and age it shows the amount of value that the Wegmans family has by keeping their business run by family. There are many other grocery stores that are nothing but corporate monsters. I personally feel that these other stores only care about making money, and nothing much else. It’s clear and evident by the lack of enthusiasm their employees have. This experience that my wife and I shared will always have us as dedicated Wegmans customers. Besides, who doesn’t love all of what Wegmans has to offer. I hope that the the guy wearing the “turkey pants” gets to read this. Yesterday I purchased the 6.00 Chicken French meal. The chicken was so tough that I could not eat it. I was so disappointed. I now have second thoughts about the meals. I was shopping at the Erie Store today for Thanksgiving. I had a whole basket full on things and a turkey. When I got up to check out they told me the turkey was not on sale this week. I had come to this store rather than the other competitor because I wanted to get the turkey there for 48 cents a pound. The cashier was very nice and said it was not on sale but she called the girl in charge over. She told me that she would not honor that because the sale was over. I had all the groceries so I told her then I don’t want these groceries and I will go to Tops. It didn’t seem to matter to her at all. This is very upsetting to me as I spend alot of money there and I felt I was dealt with the wrong way. I live in butler,pa. All we have is a giant eagle and would like to see wegmans come to town.we need more variety in grocery shopping.I know it would do very well ! Same in monaca we only really have a Walmart not even a grocery store! I’d like to start a campaign to get a Wegmans in the Wyomissing, Pennsylvania area. I grew up with Wegmans having lived in Greece, NY for 21 years. I currently live in the Reading, PA area and drive the hour and 1/2 to our “local” Wegmans once a month or once every other month but would so love to have one closer so I could do my weekly shopping… Wyomissing, PA is an affluent area and I don’t think you would have any trouble meeting whatever your profit ratio/customer base outlooks per store are. Nobody beats your quality of store brand items and your stores these days are just beautiful. good evening, I have been shopping at Wegmans since my childhood. Until now I have been extremely happy with all of your endeavors. I recently moved from Spencerport to Fairport and moved my prescriptions from the Lyell Avenue store to the Penfield store. After being so spoiled with the drive through on Lyell I was disappointed that was not available in Penfield. I elected to switch my medicines over to Walgreens solely because of the drive through. Bakery items are waaaayyyyy overpriced!! Especially the cookies!! You can go to a real bakery and get a much better product for less than half the price that Wegman’s charges! Also, the layers on the birthday cakes are way too small (the height of the layer is way insufficient)!! Please consider doing 2 layered rectangle bday cakes…that measly one layer is too embarrassing to pull out at any childs bday party. The cake is good, I must admit…but presentation is just as important. The cake must literally be 2 inches in height with gobs of icing on top (not good at all!! )…it looks horrible!! Just a suggestion…I know of a handful of people…that drive several times a month to your stores from the Jefferson /Berkeley county areas in West Virginia… This is a fast growing area…with the easy access 81/70/270 interstates along with Marc stations throughout… The economic benefits are growing…people in this area are changing and looking for that quality and willing to pay for it…why not do the research and see if Wegmans could not be a great fit? I know it would sure save me a lot of travel time to your Leesburg store!! And instead of every 3 weeks…I’d be able to visit weekly at least! I absolutely love wegmans! The produce is the best, along with all of the other great products available at your store. I know many people that live in my area that wish we had a wegmans closer to us in Arcade NY. Will it ever be possible to build a wegmans in this surrounding area? If so, how can we make this happen in our community? First of all none of these comments have been answered so im probably just blowing steam. 15 items”. Again I was in a restricted line. I just thought wegmans was all about the customer but I guess only certain ones. By the way I’m not a complainer but I really like self-checkout. I have consistently had good experiences at all of your Wegman’s locations. Today I had an exceptionally good experience. My son recently started a new prescription that is very costly. Your drugstore Manager, Cherise (sp? ), on Alberta Dr. Amherst, NY was kind enough to do a little research for us to see if the manufacturer or Reps. offered any discounts. She was not able to reach us as we were out of town so she made notes in the computer and today was able to relay the information. It is unlikely that we will qualify for any discounts but to observe someone giving such great customer service is wonderful. I want to thank you and your staff. It is not easy to motivate such a large group of people to care and I as a frequent customer and a person that has worked for many years in customer relations do so appreciate the time and effort involved. how are you?i am claire from powerful display which located in china shenzhen. can customize the product for you if you have design,or you can send us your design(colour,size,logo,printing handling) ,if you have no idea in size,we have our own designers,we can design it for you special.give us some more information so that we can make a quotation for you. I am a frequent customer at your Princeton, NJ store. I have gotten to know several of your employees who are very caring, experienced and professional. One, in particular, Mia Johnson was recently passed over for a full time front end coordinator position. She is currently part time. A nineteen year old was chosen for this job with little experience. Mia has over 23 years experience in the supermarket industry. She is a wonderful employee and goes above and beyond, giving 150 percent . The managers who made this decision are not very smart. Is it politics?? Favoritism?? I am disappointed in the way they do business. I hope you can look into this and give Mia a chance to prove herself. She is amazing. I got to personally meet you in the store last Christmas, and you seem like an intelligent person. I hope you will do the right thing and promote her. My name is Mark Nicholson, and I am a driver for JB Martin and sons inc. Early this morning, I picked up a consolidated load from your Pottsville PA facility, due to be delivered at your Wegmans market St address for 7 am. I was 2 hours late, because of fatigue, and had long since violated the hos as mandated by the FMCSA. The broker, Leonard’s Express, assured me that there wouldn’t be any driver handling on this load. When I arrived at the warehouse, the reciever informed me that I was required to break down the load.? I have been delivering to this facility for 5 years now and know that changes are taking place, and have sensed increased hostility will from the recievers. I would like to thank Wegmans for the ”best I have seen anywhere”- service and products especially the produce that Wegmans sells. I was doing my weekly grocery shopping on Sunday 7 /27/14. I was picking out you yougurt for my baby, while I was standing there the yougurt containers kept falling, so I yelled back to the stock person that he was pushing them to close the edge. I continued to pick out my yogurt and first few containers were fine, but the more flavors I picked I noticed the dates were from 7/21/14…… I yelled back to the person who was stocking and asked what the date was, he said 7/27, I said then why is week old yogurt out here. The more flavors I went through I found bad dates, so I threw them down on the lower shelf. This young kid finally cones out and he is laughing, I said what is so funny? ? I said do you have kids?? I then asked him if he thought Danny Wegman would think selling week old yougurt would be funny. .. He just continued to laugh, after finding 6 good dates, I threw 10 bad ones down, told the kid he better check the rest of them.. Your Dickson City store and drugstore is in direct violation of Federal laws. First complaint, my 83 year old mother, who needs palliative care, was “carded” when she went to purchase alcohol by one of your cashiers, causing her extreme stress and embarrassment. At the same time, I was in the drugstore attempting to acquire her pharmaceuticals. Wegmans violated Federal law, and you will find that they are in direct violation of PACE rules and regulations. This will subject you to sanctions for noncompliance of these Federal programs. The drugstore Manager gave me the option of paying full price, instead of my mother’s six dollar Medicare copay, or come back the next day. I do not have time for this chicanery. I called the Wegmans automated prescription refill number for that store in front of all the Pharmacists using their phone, keyed in the prescription number and I was told the prescription would be ready at 5:15…I was there at approximately 4 pm. I paid full price under duress, being that my mother was waiting for me in the dining area and was not feeling well. The drugstore is in direct violation of Federal law…carding an 83 year old woman who didn’t even know what the cashier was asking her for may not be illegal, but certainly is idiotic and maybe more. Management in drugstore and Store exhibited a systemic lack of professionalism and disregard for Federal guidelines. Alert your staff legal council. You will know my name soon enough. I am well beyond the age where I need to show my ID and that is clearly visible with gray hair and wrinkles galore. I show my ID when asked because I know it is required. I kid around with the cashier because I know that it isn’t a comfortable situation for them to be in either. I also have a dad who is in his nineties. The ID thing comes up and he or and I comply. If this is the only inconvenience you have in life,….well life is pretty darn good. Thank your political idiots who create this practice, then vote accordingly. Oh ya, don’t be offended but they may also ask for your ID. What a “terrible” country we live in. Don’t worry though, in time the self serving politicians will remove that embarrassing process and then any and all can vote whether legal of not. The legal staff must be shaking in their boots with your threat. First let me say I love your Burritos. My problem is they are very hard to get. In four visits to your store on Amherst Street, only on the last visit was I able to purchase one. The problem I found out was they close from 2pm to 4pm. Ok that’s fine but why don’t they have a sign to note that fact? In my three previous visits I was not the only one in line unable to get anyone’s attention to inform us and we all left quite annoyed. When I asked the clerk on my last visit why there is no sign she said her manager has been told many times and that the sign that is up isn’t correct either. Obviously Wegmans is cutting personnel since when I was successful in getting my Burrito it was because I went over to the girl serving the hot meals and she told me she would be with me when she was done waiting on a customer. One girl servicing two major stations , not cool. I recently had the opportunity to apply for employment here in Northern Virginia with your company. I have been out of the employment market for a few years because of cancer. I had 17 years in the United States Marine Corps and 20 years in Las Vegas where I retired as Vice President of Security/Surveillance/Investigations/Safety/Risk Management. The job I applied for was Loss Prevention, the extent of my interview was a phone call talking to a gentleman on speaker phone while he typed my answers. I have just received a letter saying that I was not chosen. I can understand not being chosen but this type of interview for a major company to which I was probably over qualified for is disheartening. I understood Wegmans had a better grasp of professionalism that what I received on a telephone while hearing keys being typed on a speaker phone. I have hired hundreds of team member in my past, the companies nor myself would have ever demonstrated this type of non-professionalism to the public let alone to a potential applicant. I have no idea if this is a Wegmans policy or even condone these actions. I would like to thank you in advance for your time in reading this e-mail but I felt you should know. I live in Hazlet, NJ and would love a Wegmans store close by. It’s a much needed store for this area. I think overall you brand is very well received with your recognition as a Fortune 100 company speaks for itself but employee treatment is far from 100. Mainly the Princeton location and probably other locations my daughter complains regularly about your hired managers disregard during lunch periods. She is a hard working young lady and should not be treated in the manner. Your staff plays around, ignores the schedule and spitefully give breaks at their playful convenience. There is a workforce and labor law being violated not sure if you are aware of that and maybe a renewed management ethical training should follow this email if you cared about your employees. I do not like seeing my daughter in distress, she is a educated young lady, humble, works hard and never complains so I am making the complaint for her. If you had children and heard them express such dismay then you will handle the issues. Not everyone hired as manager has manager qualifications. I bought a salad through your Wegman’s website for the Fairmount location for a boy scout event. The salad was supposed to be a King Cobb salad and instead I got what looked like someone’s old leftover salad cores that should discarded. The salad should have come with Romaine Lettuce and instead I got old iceberg cores.I have left several messages for their office 315-487-1581 ext. 155 and have yet to see my credit. I am tired of leaving messages please contact someone to credit my card so I can be done with this issue. Went shopping on 1/14 when I got home most of the items I bought where missing. Went to store following day I couldn’t find my receipt and even though they had all the items that were left on a log with the date they refused to give me my groceries. I finally found receipt went to counter at customer service the supervisor was very nasty, unprofessional and told me with a very nasty attitude that it was more than 90 days and that they can’t do anything about it. I was never informed on this policy so at this point I’m confused wegman a big supermakert can steal just steal my groceries with what right. First they had to train the employees better how to do the job right to avoid this situations and how to treat the customers with respect. My money is good anywhere. Customer service is the worst and the employees are not trained well and on top of that the prices are higher than others supermarkets. I was wondering if Wegman Corporate can do a survey of placing a store in Louisa, VA. We are surrounded by Food Lion’s with poor service and over pricing. Louisa is known for the Lake Anna area which is the second largest lake in VA. It attracts vacationers from New Jersey, New York, Pennsylvania, and others. Every time I’m in the Food Lion I hear them complain about Food Lion. Please can you bring your great service to our area, and not let Food Lion corner the market. Thank you for your time. I recently joined a company that I believe will revelutionize the vitamin and supplement industry and a an avid Wevmans customer I couldn’t help but think that Wegmans and this company could work hand in hand . This company offers a health assessment that determins exactly what vitamins and supplements you should be using. It talked into consideration what medications you take , your lifestyle and individual needs such as fertility or weight loss. I would be honored and enthused if you would take a look at my website. Chrystal520.idlife.com. It’s EJ but he goes by Eric H.
He isn’t nice he just want your money and doesn’t want to pay you back the next day! He forced me to loose my job as a cook in Columbia at Bj’s Warehouse company. I had the pleasure of shopping the Alberta drive store. I have started a wellness program and needed to add more veggies to my diet. I asked a college student named Alex about how you know things are ripe and what tastes good. He was fantastic and knew what he was talking about. He is a good example why Wegmans is a cut above everyone else. I’m tired of hear my son complain that they didn’t get his availability schedule due to him attending college while working. He was hired with this understanding that his classes changed every 8 weeks. When he puts in his new schedule they say they didn’t get it or tell him he can’t have those days off. He was also told that when he needs days off for Police Auxiliary to let them know so he can have those off. Again, something they knew at time of hire. When he puts in for it, he’s told you can’t have it too many others are off and he puts in 3-4 weeks in advance. They schedule him on days he can’t work due to school & then when he tells them they take the time away totally and don’t give him anything. Then he knows what his schedule is to be and when he double checks it online he finds that they took away hours from him and gave him hours else where that he can’t work due to another obligation. Someone tell me where this is fair? where to the kids of today’s society get a break?? Does anyone at your Woddbridge store know what the hand is doing?? Does anyone listen or pay attention to your employees?? Recently you changed your ham salad recipe. It is no longer the same and I did try it but it was soggy and did not hold up to using as an appetizer or in a sandwich. Please bring back the old recipe or I will have to shop elsewhere for ham salad. Thanks. Hi My name is Chris, I am looking for a contact name and number to whom ever is head of procurement. I work for Sysco and I’m looking for an opportunity to earn some of Wegmans business….I’d like to forward business references and a letter regarding Sysco and my self…Thank you and Happy New Year! The store in Spotsy Va carrries Solgar Whey To Go, sometimes. There is a problem with that product. I have brought it to there attention several times. The store hasn’t had any for a few weeks. Please see what is going on. For the third time this year I had to return to Wegmans on Transit to retrieve a bag of groceries that was not placed in my shopping cart. The last time this happened over the summer, I was quite upset as it made me late for an engagement. I asked to speak with a manager to basically say that this is happening too much. He agreed. My main questions were: “Did you or anyone go and speak to the cashier and tell her that this cannot happen again?, and “Does it negatively affect the cashier in any way?”, and to both questions he answered “no”. He said he wasn’t even made aware of any groceries left behind that day. At that time, I told him that he has a systems problem when the person making the mistake doesn’t even know about it. Anyway, after talking to co-workers and friends, I have heard from many people with similar stories. It costs people time(my time is money) and gas to retrieve groceries left behind. If the cashier can ask me every single time if I want my dripping gallon of milk in a bag, then she/he should be able to get all of my purchased items into my cart. If the cashier can look under the cart with and without a camera every single time for items to be rung up, then she/he should be able to get all of my purchased items into my cart. I do not blame the cashiers at all. I blame those training and supervising them. Mistakes happen, but if a cashier makes a mistake then she/he needs to know about it so the in the future that mistake is not made again. I like Wegmans. It has been our supermarket of choice. I know where everything is in the Transit Wegmans after spending thousands and thousands of dollars there over the past 12+ years. However, I have doubts about the competance of the management at that store if simple issues cannot be straightened out. I will say too that over the years I have gone to Dash’s and Tops a lot and never had to return to a store for items left behind. I may be visiting these other stores more often now. Is the reason that management does not make a big deal about the left behind groceries with it’s staff that often times people don’t notice/return and therefore you can re-stock and then re-sell the items?? I am not looking for anything from Wegmans other than how you are going to fix this common problem. Returning angrily to a store for something left behind is something I do not want to do again. No! The reason is that the “managers” Wegmans prefers are relatively young – very young in fact. They are rarely much older than those they are expected to supervise. So you tell me, is a young 22-year old “manager” going to effectively discipline that hot, 18-year old cashier on checkout lane 9 who he has been trying to get to go out with him? Nope. Is he going to effectively discipline those stock boys who are crushing the boxes of Zesta crackers over and over and over again? Nope, most of them are his buddies or at the very least unimpressed by his perceived “authority” and will tell him to eff off. It just cannot work. Supervisors can be decent, fair and likeable, but they must also be willing to be hated and ruthless pricks when cirXXXXstances call for it. That is a difficult mix to handle effectively. Tiezzi Imports brings in high quality, cold pressed extra virgin olive oil from our friends in Northern Italy. I was recently speaking with one of my customers Paul Partica about growing my small import business and my son going to RIT in Rochester. Paul immediately started praising Wegmans, he sold coffee and helped put together all of the coffee bars previously. He couldn’t say enough great things about Wegmans! Paul encouraged me to reach out and make an appointment with a Wegmans buyer to sample my Tutti Amici products. I have been in business for 5 years and I am just starting to contact larger stores. I would love the opportunity to meet with someone or to drop off samples of my products. I will be in Rochester for a visit this weekend and plan to visit one of your stores. I look forward to any possibilities you can offer with regards to my products in your stores! 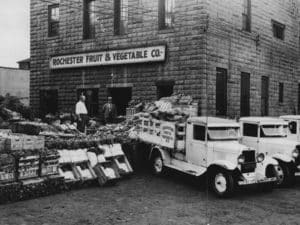 I resided in Rochester, NY for 38 years and shopped at Wegmans and absolutely loved the quality of products. I moved to Canton, GA 4 years ago. 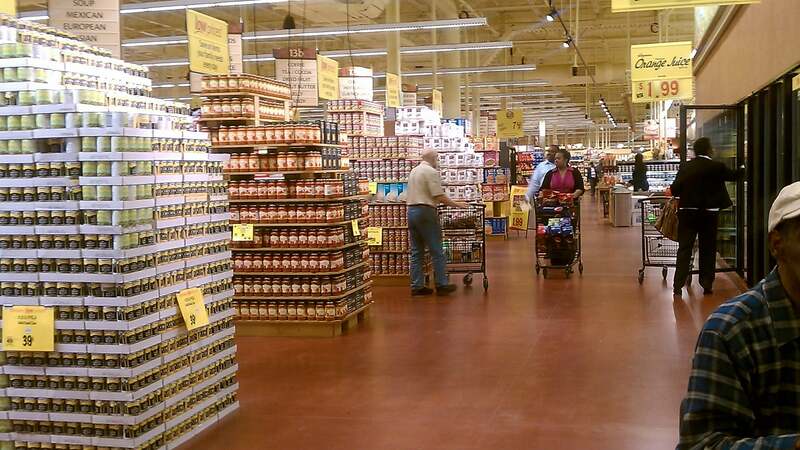 The grocery stores (Kroeger and Publix) cannot compare to Wegmans. Could you PLEASE build a store here in Canton, GA.
Want to make sure Wegmans sees your comment or complaint?